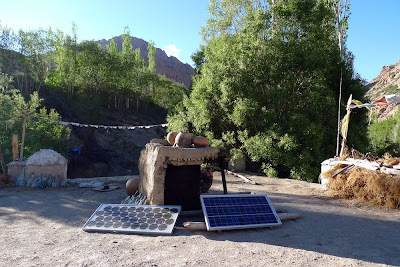 - All homes are outfitted with a few solar panels as electricity is scarce. 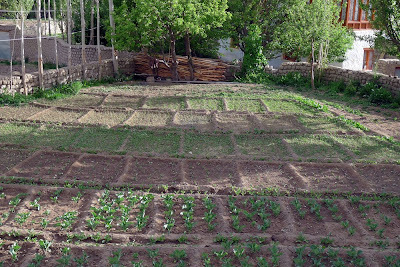 - Everyone has a "kitchen garden" full of herbs and vegetables. 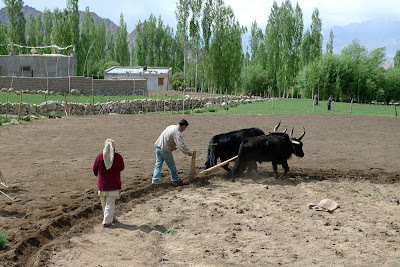 Yaks do the ploughing. 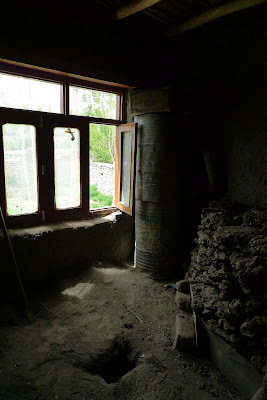 - Ladakhi toilets are basically holes in the floor. You poop through the hole, and cover it with sand. 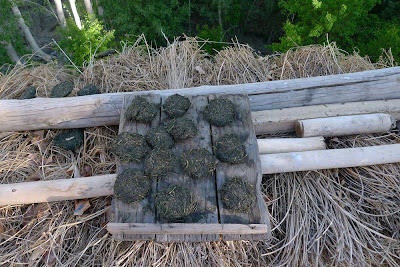 A few weeks later, the turds are dried and used as fertilizer and fuel! - Sheep are kept for wool. 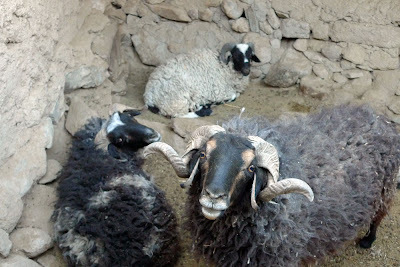 These guys are future sweaters. - Booze is homemade. It is made from barley, which is grown by all families. The fermentation process uses kitchen scraps. 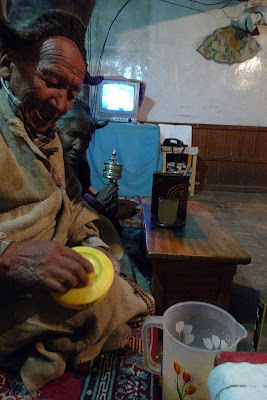 Here is grandpa's personal supply of chang.